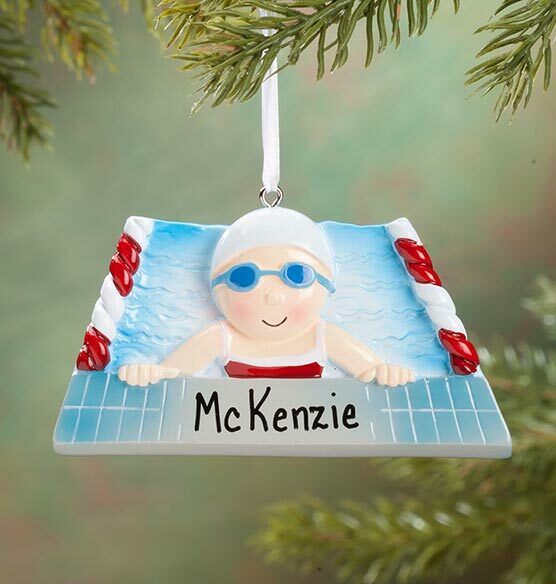 Your little swimmer will do a whole new kind of "flip turn" when spotting this personalized Swimmer ornament on the Christmas tree! 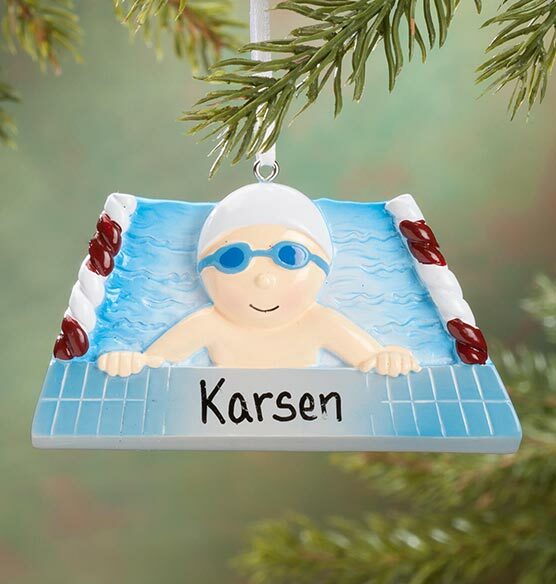 Starring a boy or girl swimmer in cute cap and goggles, our COOL pool Christmas ornament is wonderfully detailed, complete with tiles, lane lines and wavy, blue water. We'll add one special name at no extra charge, creating a keepsake treasure to love every year. Specify style: boy or girl. Specify name; limit 1 line, 10 letters/spaces. Resin. Tree ornament measures 3 3/4" wide x 2" high. The braces ornaments are well made and the braces glitter! I have purchased other ornaments and have been pleased with their quality. Daughter joined HS swim team this year.